I never thought that the phrase "food for thought" could be interpreted literally. Just last week, I came across one of the rare examples of this in Kong's Cuisine. So, what is Kong's Cuisine anyway? If the name Kong Fu-Tze sound familiar to you, then yes indeed, that is the name of the famous Chinese philosopher and teacher who founded Confucianism, a school of thought which is cemented further to become a religion in some countries like China, Korea and even Indonesia (which is known as Konghucu). 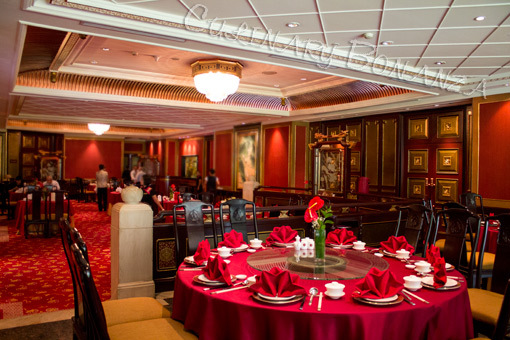 The Kong Family Cuisine had its origins in Qufu (Shangri-La Hotel, Qufu), located in Shandong Province of China, where Confucius was born. 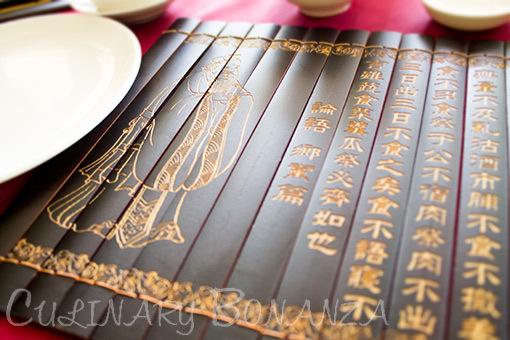 Back then, along with the spread of Confucianism , the culinary heritage of Kong Family developed at the Kong Family Mansion, which regularly hosted official banquets, ceremonies and royal commemorations. 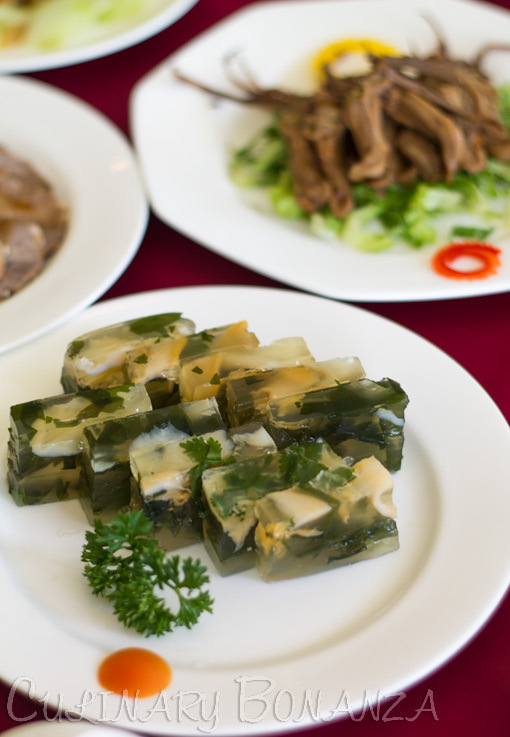 Over the ages, the Kong Family Cuisine has evolved its own unique culinary style, but still in line with Confucius' teachings. One of Confucius' quotes: "Food can never be too good and cooking can never be done too carefully", I couldn't agree more with that. Shangri-La Hotel recently opens its new property in Qufu, the hometown of Kong Fu-Tze, , which makes it the first international five-star hotel operating in the city. To commemorate this milestone, Shangri-La is leading a Qufu culinary expedition across Asia with a team of chefs and service professionals, bringing Kong family cuisine to six selected Shangri-La hotels in Qingdao, Singapore, Hong Kong, Taipei, Bangkok & Jakarta from January until March 2013. 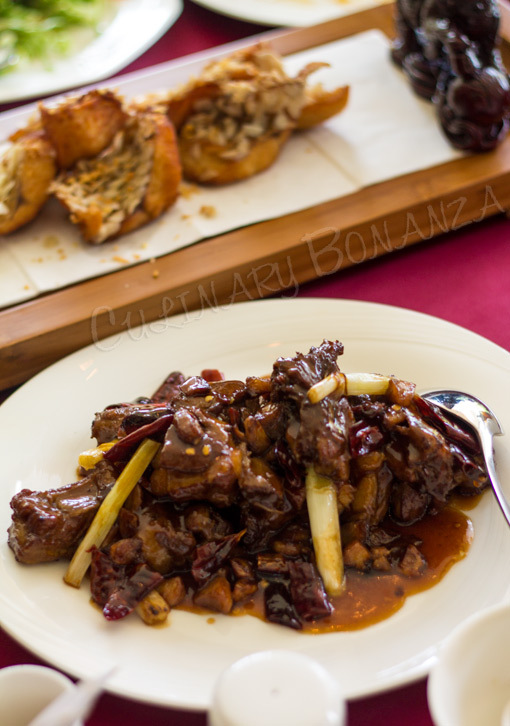 I had a rare chance to savour on the Kong's culinary delights when the roadshow visited Jakarta (19 - 25th March 2013). The Three Ingredients soup is a special & unique dish in the Kong family banquet using 3 main ingredients: chicken, duck & pig trotters. Besides the 3 main ingredients, the soup is processed by simmering the soup three times, hence the name. 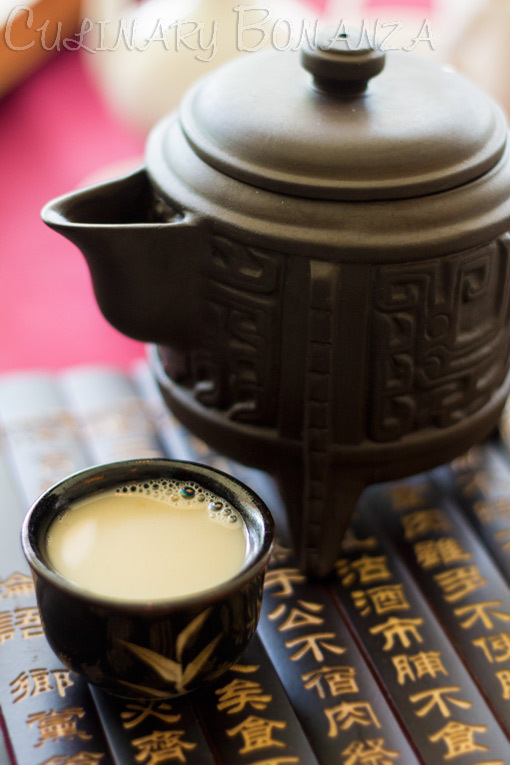 The result is a rich and milky broth with fragrant aroma. Served in single shot tea cup, this rich treat is fit for emperors & royalties. 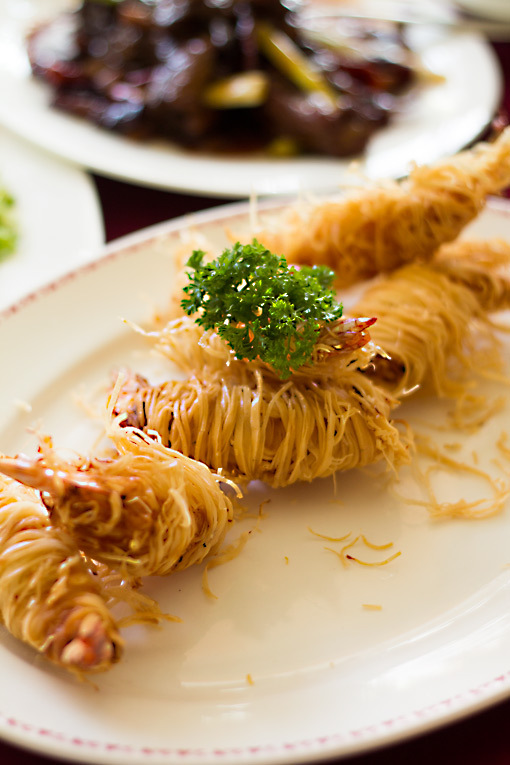 Lu Wall's Hidden Collection - Prawn Roll Wrapped in Crispy Vermicelli served with sweet chili sauce. This was my favourite of all the dishes we had. Back in the era of Emperor Qin Shi Quang's time, books were burnt and scholars buried alive to ensure stability among the common people. A descendent of Confucius, hid the precious books in the walls of the Kong's Family Mansion, the prawn represents the wisdom in the books and the vermicelli wraps (hides) the prawn from common sight. Wisdom Frees Perplexity. Such a verbose name for braised pork ribs, then de-boned and stuffed with scallion stalk topped with rich and tasty sauce. However, this dish has a meaningful historical significance. During the burning of books and live burial of scholars, Minister Zhang Ge exchanged his own son to be sacrificed in place of a Kong Family male descendent. This dish was created to pass on a secret information "If you have a heart of love, then you will have a lifetime of wisdom, bravery and strength of will". Farm-Style Pancakes Served with Four Kinds of Condiments. 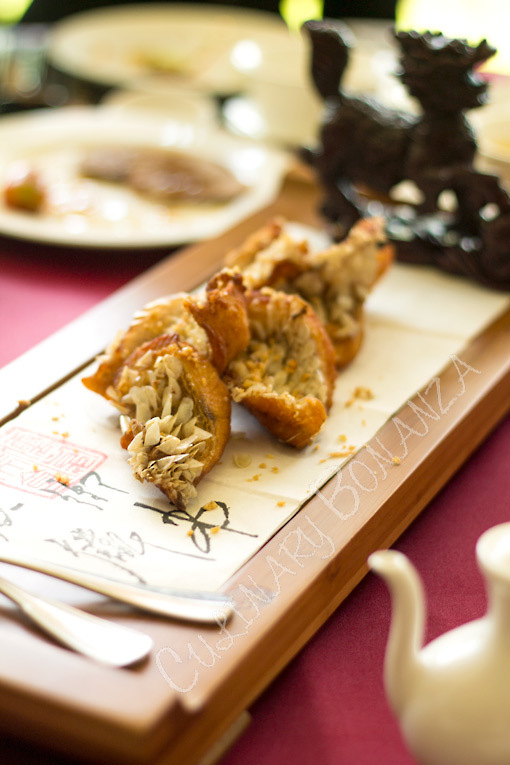 Home-made paper thin crispy pancakes made with coarse cereals, now known as Shandong corn pancake. 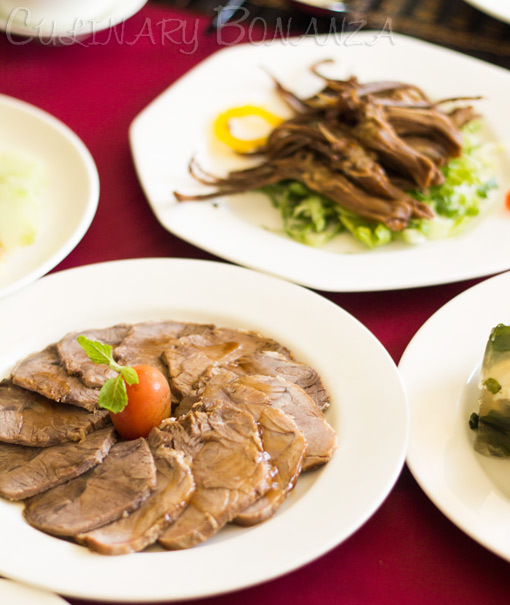 The corn pancake is brought all the way from Qufu by the team, because it is very specific of Kong's Cuisine and not easily acquired elsewhere. 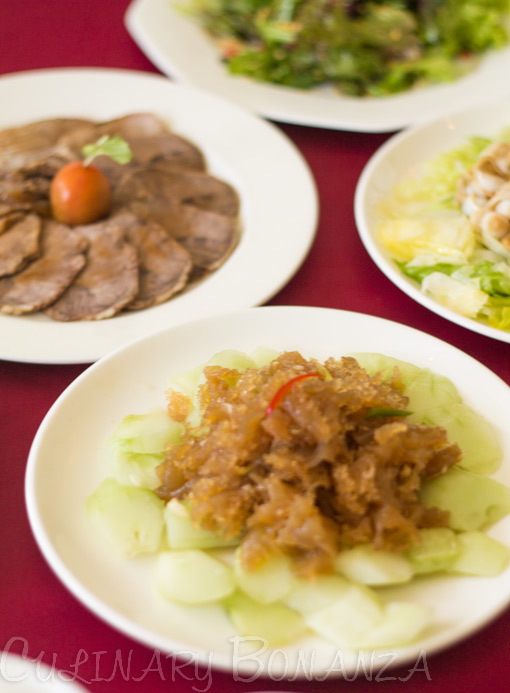 The filling is salted fish, spring onion, shredded salted vegetables with shrimp paste and yellow bean paste. 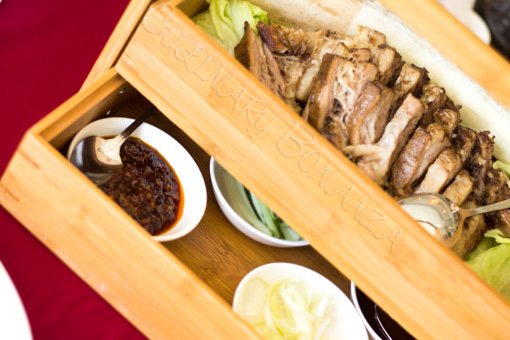 Kong Style Fried Beef Ribs served with four types of condiments. The two black sauces are the best to complement the beef ribs. The slightly sweet brown sauce is reminiscent of hoisin sauce while the coarse brown sauce might have tauco (Chinese salted black beans) in it. Nonetheless, both were equally good. 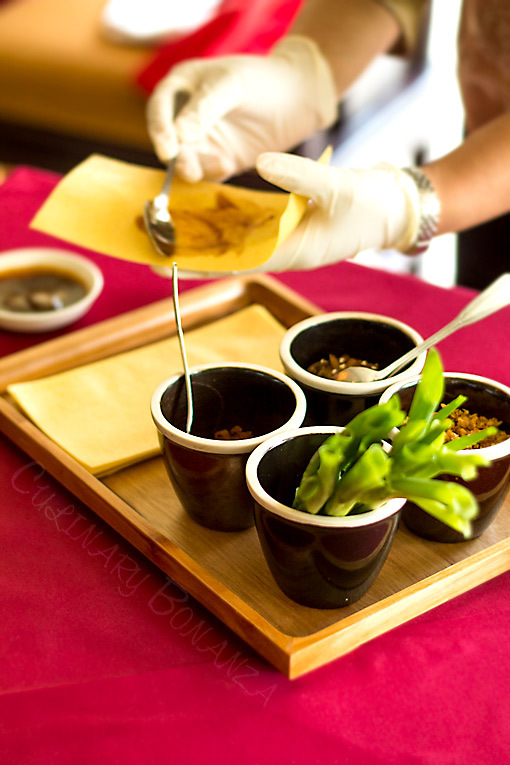 "Gingko" Poetry Rites - a signature dessert in the Kong Family Banquet made of steamed snow pear stuffed with gingko nuts and dates and drenched in Osmanthus Honey. 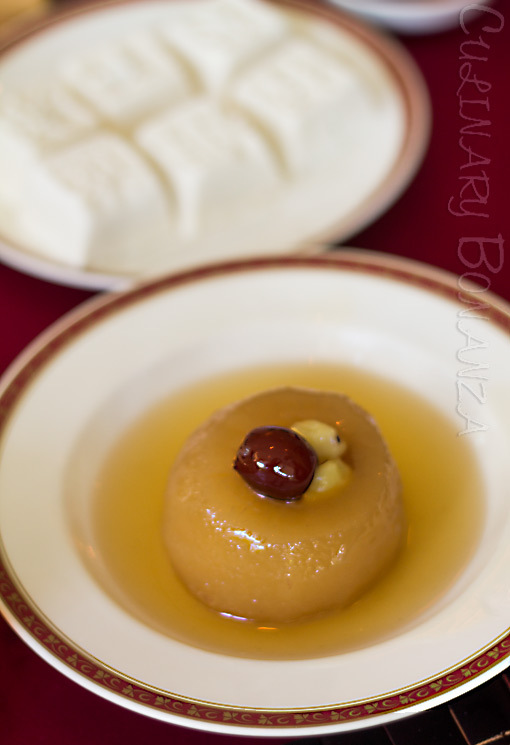 Nutritionally, this dessert is healthy for the body, as it reduces phlegm and cleanse toxins and germs from the body. Historically, it was said that a 53rd generation descendant of Confucius built a Poetry Hall as a memorial for Confucius, in front of which, he planted two gingko trees. Hence the gingko dessert. The other dessert we had was Xing Tan - Apricot Pavillion Chinese Date Cake. The white cake texture is reminiscent of Indonesia sweet treat, Kue Putu Bumbung. 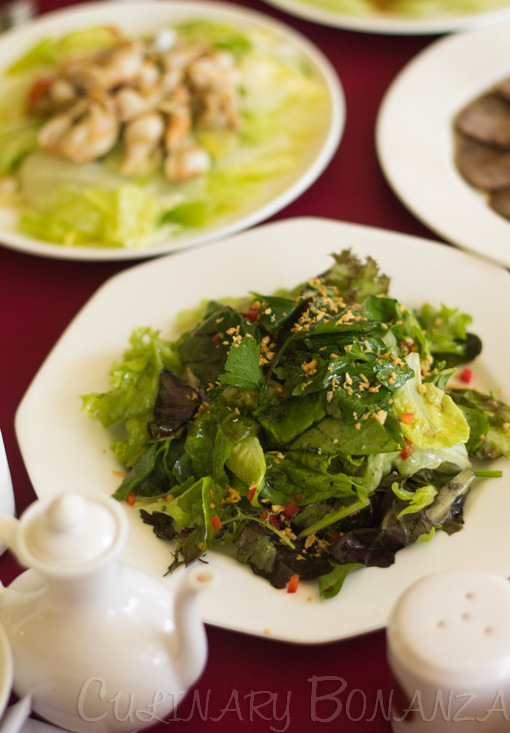 If you missed the Kong's Cuisine during the Qufu Culinary Roadshow, you could always visit Shang Palace in Shangri-La, Qufu.